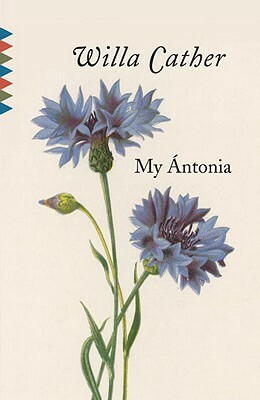 A Literary Odyssey: Book 151: My Antonia by Willa Cather. I went right to Amazon and downloaded My Antonia and O Pioneers for free. Thanks for the review! You captured my attention at the 'picaresque literature' part. I read a few picaresque novels for my Spanish Lit class last year, and I'm interested in reading what picaresque literature reads like in different languages and coming from different cultures. Great review! Wonderful review -- I have this one on my Classics Club reading challenge -- I read some Cather when younger, while living in Nebraska, and I liked it fine -- but I suspect it will resonate so much more now. Lovely, lovely review -- you have me itching to rearrange my reading queue now! I read this after reading O Pioneers! and I think my expectations were too high. Like you said, it's a very quiet book. Those are the only two Cather books I've read and I loved O Pioneers, so I'm curious how my next Cather will be. You know, I probably read this for the first time around when you did. But instead of having it assigned for school and being affected by peers and such, I had it handed to me by my mother who told me it was a wonderful book and I would love it. And I did every time I read it. It's been years since I last read it but I still have that tattered old hardcover that she handed to me so long ago. This has been sat on my shelf for an age and has become one of my 50 for the Classics Club. I am intrigued by the way you describe it as quiet so I think this has just made its way near the top of my reading list. Looking forward to it! I read it in 7th grade and loved it--required reading then in the Denver Public Schools. Loved it so much that I read it again and read it again. I'm old enough that I had no expectation that novels should be "noisy" and "exciting." And I was (and still am) a voracious reader. Read all 22 of her novels, some for 2nd and 3rd time, last winter during a long illness.